Kurds are saying in plain language that Turkey is committing national suicide. Despite what you might think, the meaning of these words is clear. Unlike the Turks, the Kurds have unbelievably powerful friends. And these friends have said the same things. 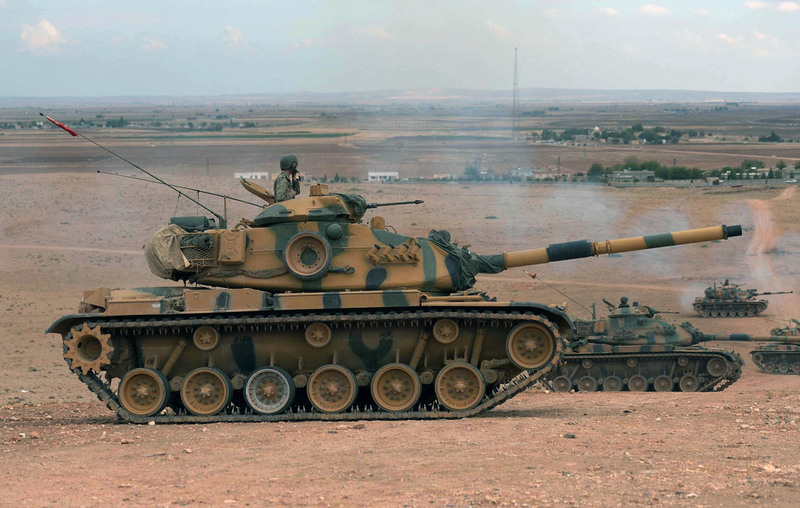 The Turks have done the one thing that will guarantee their defeat in Syria. As can be seen on social media, many Turks believe that they are justified in imposing their will on others. Might makes right. While the Kurdish-Turkish conflict is one thing, this is another. He was a Syrian Arab. The Turks have made the same gigantic blunder that has cost Syria, Iran, and Russia so much. In the new Middle East, this is Rule Number One for behavior. Never claim that you’re fighting terrorism when you’re actually pursuing an imperialist, expansionist agenda. The most powerful people in the region have a history of boots on their necks. Therefore they now have no tolerance for imperialism. 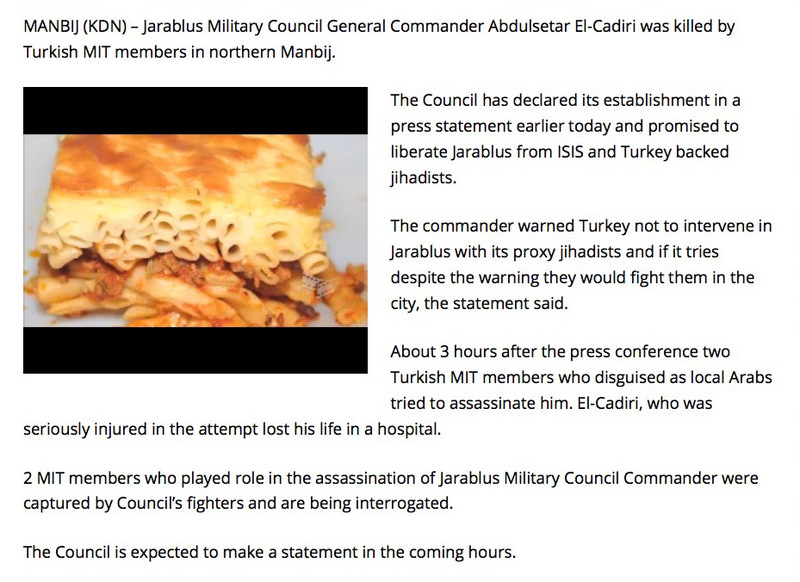 The Turks are very likely to suffer enormous casualties if they stay in Jarablus. Look at the countries that are trying to expand their power in the Middle East. Next, look at what happens to them. 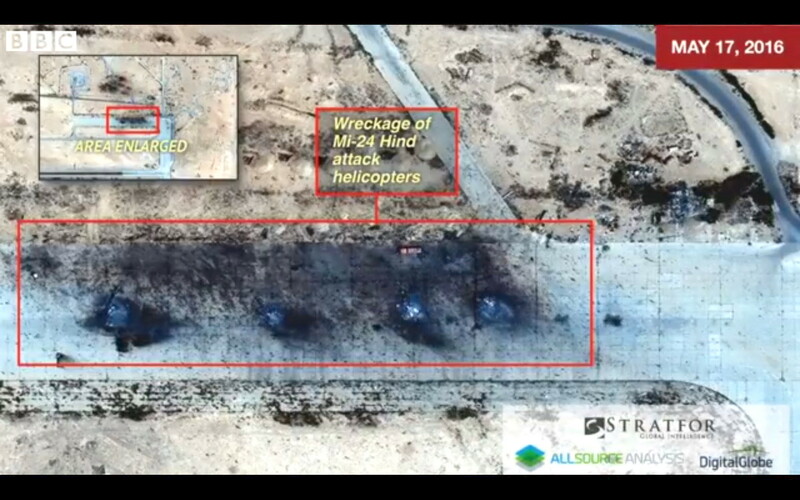 In spite of the evidence, people think that Islamic State artillery destroyed an entire Russian attack-helicopter squadron. 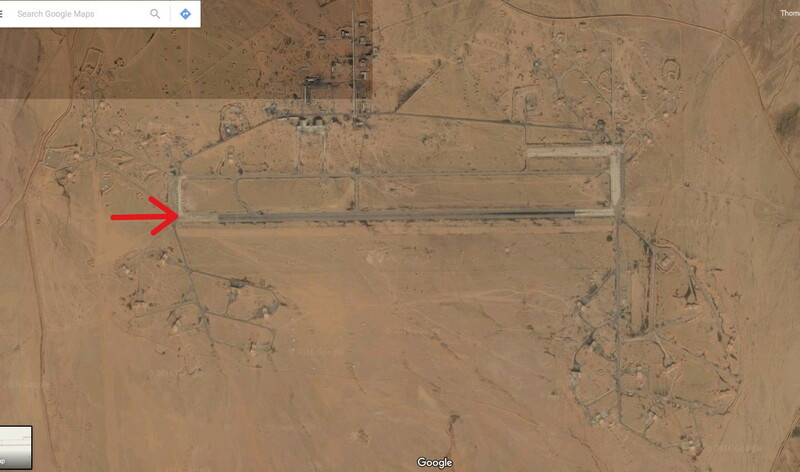 The site was Tiyas (T4) Air Base. But there are no craters. You can see that the helicopters melted down into puddles of aluminum. That’s the work of thermite grenades. This was an Entebbe-style commando attack. In other words, a C-130 Hercules transport landed at the end of the runway. Commandos then deplaned and destroyed the helicopters. Someone has carried out many such missions against the Russians. This was the most audacious. 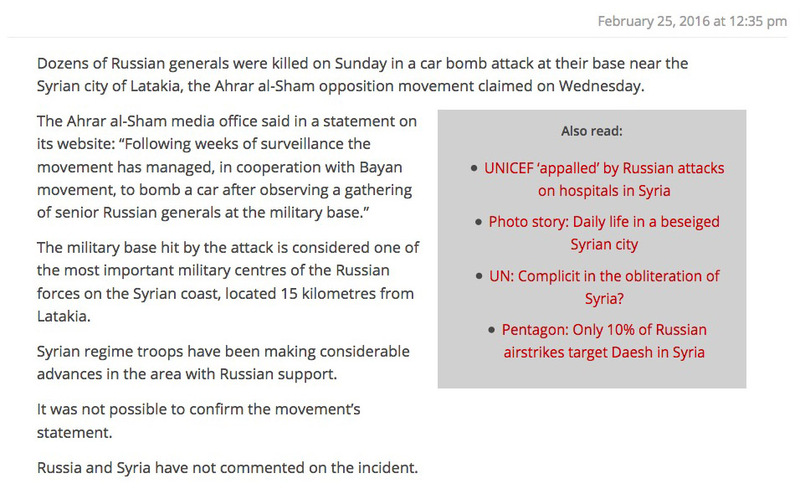 It wasn’t a car-bomb attack. The Russians had sealed off their section of Khmeimim Air Base. This was another commando attack. In addition, it was very likely an operation that used disguised aircraft. 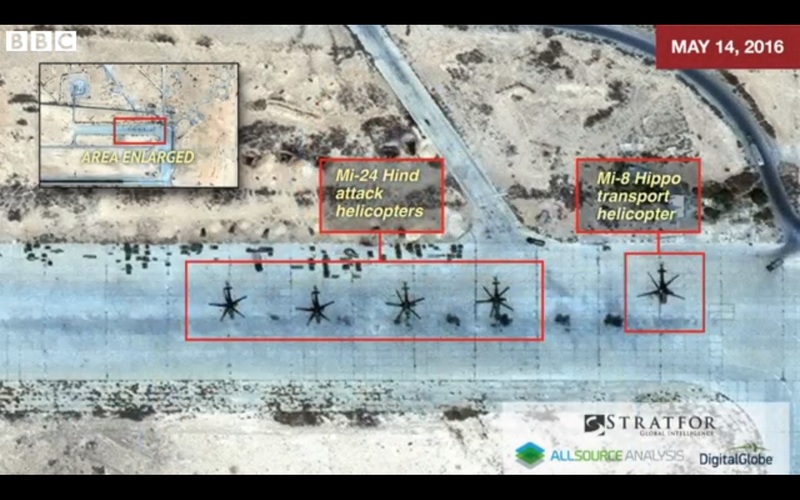 A transport posing as a Russian aircraft landed, and a platoon of commandos jumped out and went to work. Everything that has happened to Russia and Iran will now happen to Turkey. And much more. After all, Russia’s nuclear deterrence meant nothing to the commandos. If nobody takes credit for something, nobody can be blamed. And there’s always the danger that what the enemy shows you is just a fraction of his capabilities. For example, let’s say you send your 55-year-old tanks into Syria. Since they have no defenses against modern antitank guided missiles (ATGMs), they’re sitting ducks. Suddenly a bunch of your tanks blow up. However, what do you do? Maybe it was those dastardly Kurds. But what it it wasn’t? What if invisible jet-powered gunships with 105mm howitzers did it? Certainly the invisible jet-powered gunships may be the worst thing you have to face. But what if they aren’t? What if this unidentified enemy has weapons that nobody can even conceive? Note the words of Khaled Isa, a representative of the Kurdish Democratic Union Party (PYD). There’s a lot at stake here. 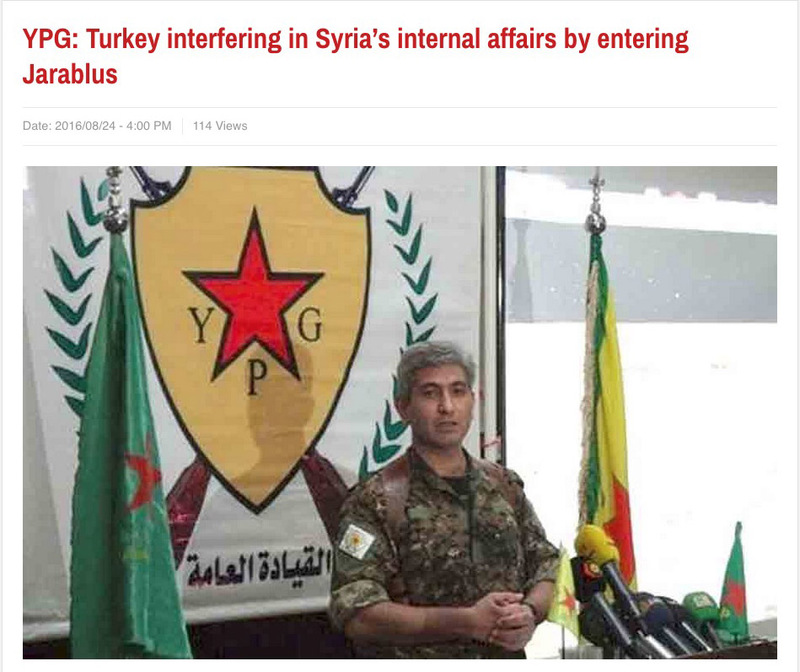 Do you think the PYD would make an empty threat? If the PYD doesn’t follow through, it will be greatly weakened. Therefore my guess is that the Kurds’ extremely powerful friends are ready to do what is necessary. Everybody needs to stop talking about the US. Have you noticed that the Kurds don’t mention us? It’s because we aren’t a factor. That is to say, we made ourselves a non-factor. But that’s good. All we were doing in the Middle East was screwing up. The Kurds’ friends are careful, methodical, competent, and fearless. By fighting in secret, they give everyone an out. The enemy can stop anytime. I didn’t know much about Saudi national character before March of 2015. Because of the American national character, I didn’t think that the Saudis…mattered. They were oil sheiks, nothing more. After studying Saudi Arabia daily for almost a year and a half, I cheerfully admit that my perceptions were completely wrong. These are a great people. Every country in the Middle East has tremendous potential. Generally speaking, the main issue that held them back was imperialism. Internal and external forces required that Middle Eastern leaders do many unsavory things. To put it differently, survival required massive compromises. Those days are over. Character is revealed by what you do when you have limitless power. Today, in the Middle East, those with the most power are using it to free others. No strings attached. As an illustration, the video below. It’s a modified C-130 Hercules transport with no national markings. Although it’s unarmed, it’s a deadly weapon. On the underside are fairings and antennas for electronic warfare. This aircraft destroys the enemy’s ability to communicate, to see, and to fire missiles. But that’s not the exciting part. The nose has a new radar system. It has to be terrain-following radar. In this case, the aircraft is meant to fly at rooftop level during combat. Pilots from the United Arab Emirates love to fly low. And the Emiratis have AMMROC, the most advanced aircraft conversion facility in the world. As a result, they can make anything they want. 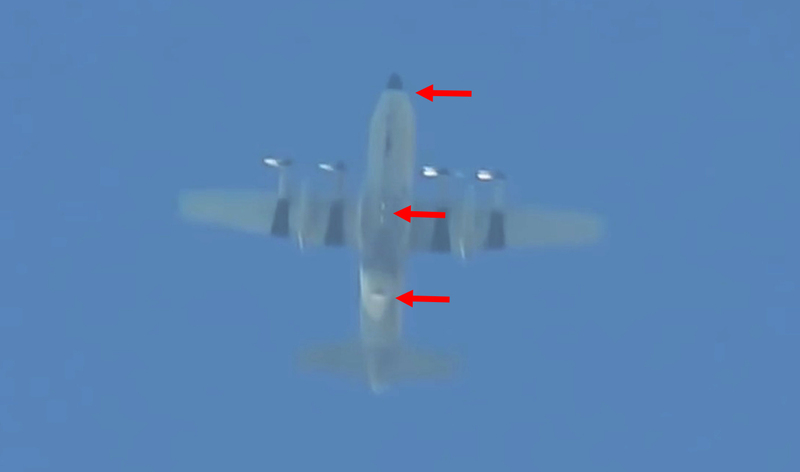 That slow C-130 is flying around in the daytime because no Syrian or Russian jet can shoot it down. No missile can hit it. The past eighteen months have taught me that the people changing the Middle East have a completely inflexible code of honor. They aren’t paying lip service to ideals. Instead, they’re making ideals into reality. I won’t post the photos, but it’s clear that terrorists used mustard gas on Kurdish civilians near Manbij. 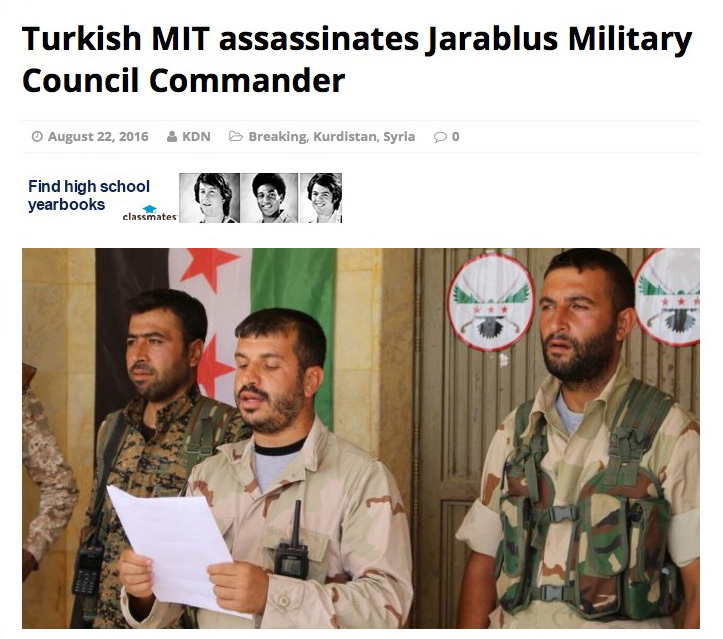 The Kurds say that someone in Jarablus fired munitions carrying this blistering agent. If that’s true, then the entire Turkish expeditionary force in Syria will cease to exist in the next few days. 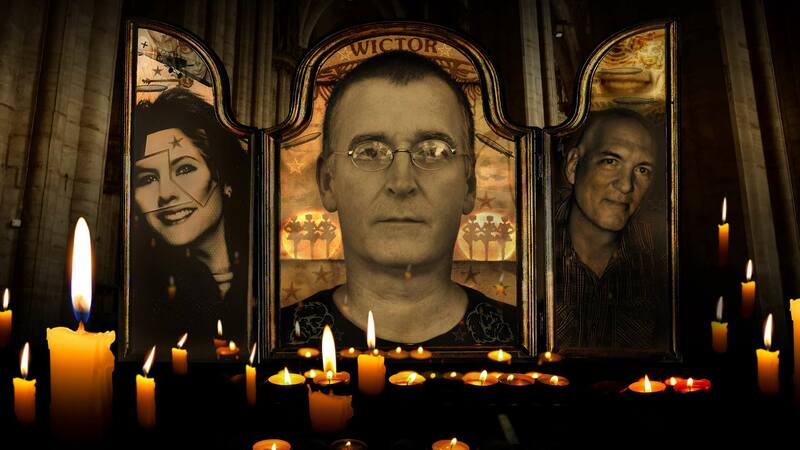 The people with the real power are sick of those who murder and maim in the name of imperialism. And the people with the real power have weapons from fifty years into the future. Soon we may see one of the most satisfying comeuppances of the modern era. I hope so. This article viewed 47342 times.